José Guerrero’s painting shifted gradually towards abstraction from 1950, the year he moved to New York and completed his last figurative work, a self-portrait. The artist would also later stop painting on bricks, cement and blackboards, which he called “portable frescoes”. Contact with the painting of the New York School gave his work new impetus. From that point forward, it reflects an abstraction which advocates an emphasis on the visual aspects and on the work on the medium itself: the colour and two-dimensionality of the canvas. Guerrero’s advocacy of a visual experience free of any material or social conditioning is among the concepts most often repeated in his writing. The artist associates this with a free art which offers space for his aspirations to complete autonomy and creative freedom. Giving up figurative representation puts the emphasis on working with colour, which Guerrero expresses through the use of new techniques derived from American Abstract Expressionism: staining, brushing and dripping, rapid brushstrokes on large canvases. These provide a new area of experimentation for his painting, now freed of all previous artistic conventions and open to instinctive, spontaneous expression. Guerrero develops his own action painting and expression, into which he incorporates memory, landscape and culture. 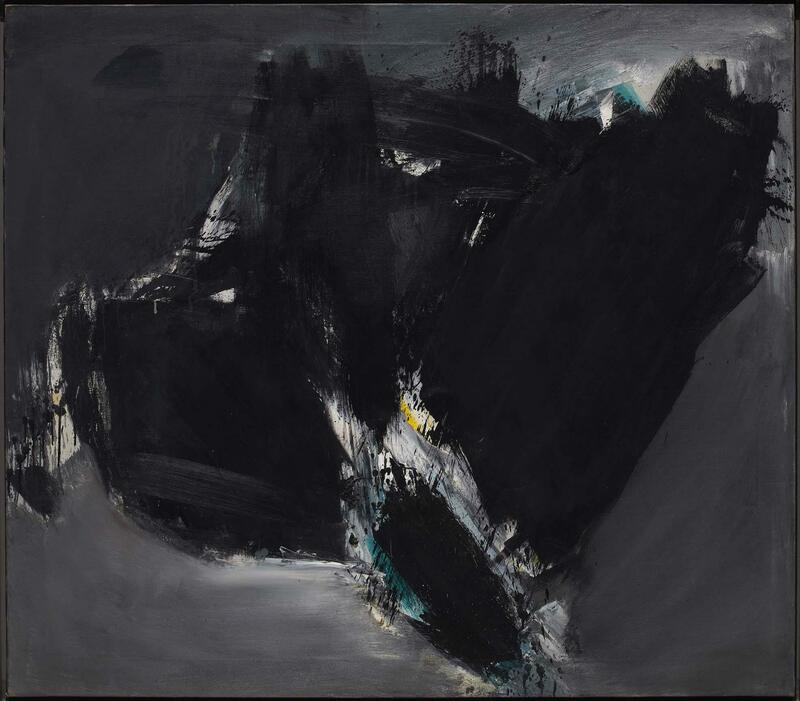 Indications of this model of action and commitment to the canvas had already materialised by 1958, when this new approach to his painting was realised in Grey and Black (ca. 1958).